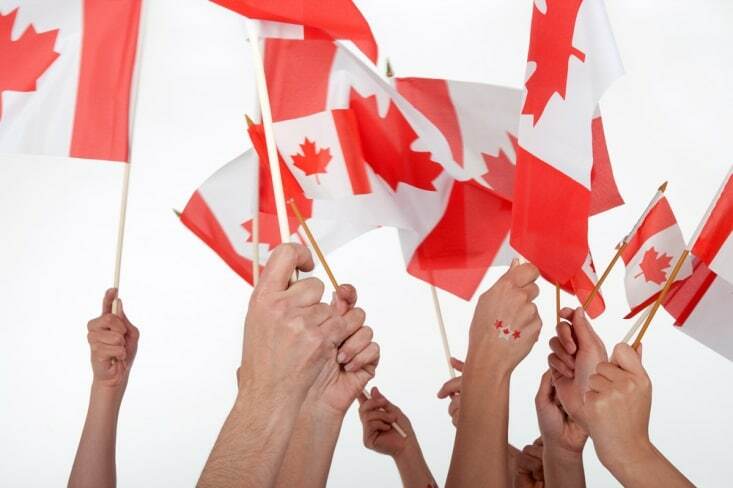 Canada Day is arguably the most important national holiday on the Canadian calendar. Marked and celebrated every July 1, it’s the day Canadians across the country gather together to shoot off fireworks, attend parades, wave flags, eat poutine, and otherwise cultivate an intense amount of pride in their homeland and heritage. While the nation has many notable places to celebrate the day of Canada’s independence, including its major cities, Niagara Falls is, without a doubt, one of the finest. Not only does it maintain more of a small-town feel, but because it’s one of the top tourist destinations in the world, Niagara Falls really does know how to throw a party. 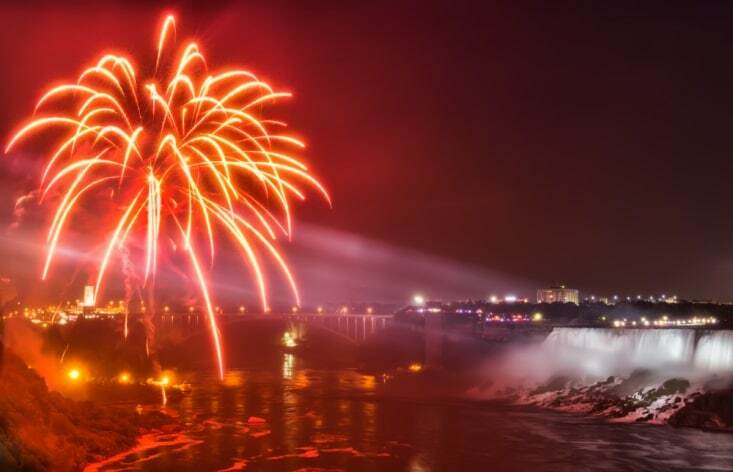 Whether you’re a fifth generation Canadian or you’ve never before set foot on our friendly soil, here are four reasons you should spend Canada Day this year in Niagara Falls. Just in case you need to start your day of revelry out with some exercise or an act of good citizenship or charity, the 5K Run/Walk for St. John Ambulance has you covered. St. John Ambulance is an organization that trains people in first aid, safety, and health in order to improve communities all across Ontario. Trainees routinely assist with disaster response, therapy dog services, search and rescue, and more. Registration for the run/walk is at 8 a.m., and the race begins at 9 a.m.
Any Canada Day Parade is worth attending, but the Niagara Falls’ parade is one of the country’s more notable ones. Starting at 11 a.m., you’ll see classic cars, marching bands, floats, costumed characters, and more Canadian flags than you can shake a stick at for over an hour as the parade runs along Victoria Avenue and finishes up on Queen Street. 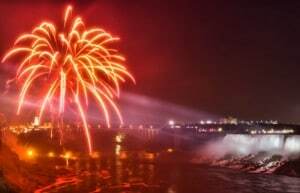 One of the best features of celebrating Canada Day in Niagara Falls, is that it can be enjoyed without spending hardly anything. From the free parade and free fireworks to the free, live entertainment that takes place on multiple stages throughout the afternoon and into the evening, the day’s celebrations are truly for everyone, but the free stuff doesn’t end with those usual suspects. You can also eat free birthday cake at City Hall at noon, enter a free raffle for prizes, get free caricatures done of you and those traveling with you, and you can also enjoy the free water station set up near the free children’s inflatables, free rock climbing wall, and free face painting located at Queen Street and Erie at the former Rosberg Family Park. In addition to live music on the main stage at City Hall, the parade, a car show, and the free birthday cake, Niagara Falls is bringing an extreme form of entertainment to its Canada Day festivities. Music by Eclipse and DJ Boogie will form the soundtrack to some impressive extreme sports demonstrations including BMX bike stunts performed by the Krusher BMX Stunt Team, jaw-dropping skateboarding tricks from the people at Niagara Falls’ Antigravity Skate Shop, and basketball aerial acrobatics by the gentlemen at Slam Dunk Entertainment. For an unforgettable Canada Day experience, head to Niagara Falls this July 1.